Rappel, static, arborist, rescue, etc. These are some of the many names of this super strong rope. New rope added! 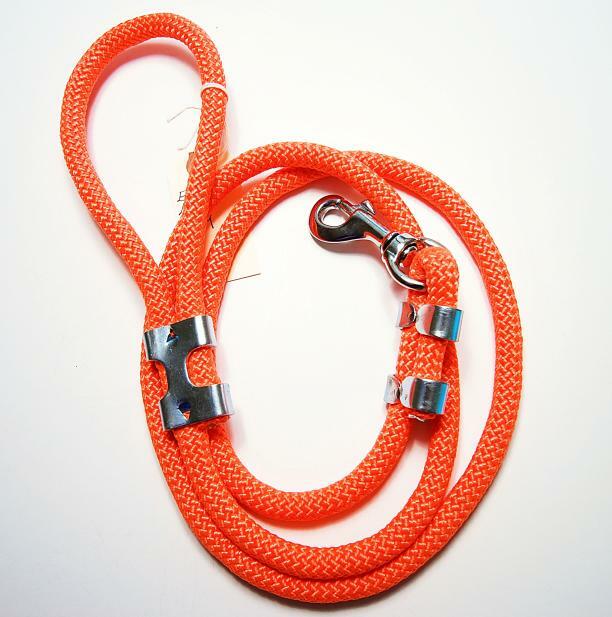 Make sure to check out our gallery for "Jasper" a new rappel rope. Rappel, static, arborist, rescue, etc. These are some of the many names of this super strong rope. These are the ropes you see dangling from helicopters during life-saving situations. The tree braids (labeled in galleries) are mostly used in arborist work (suspension from trees). These consist of a 16-Strand cover of tightly-plied polyester surrounding polyolefin cores, significantly reducing weight without compromising firmness and roundness. Tensile strength of 7,000 lbss and is rated for life safety. The fly ropes (labeled in galleries) have a great kernmantle construction that is easy to knot, and resists flattening and glazing. They are not rated for life safety, but have a 6,000 lbs. tensile strength. The kernmantle feels wonderful in the hand and will not burn if your dog gets a jump on you. It is a bit stiffer than the normal braid. Rope rated for life safety have a thin ribbon threaded in with the core that says " MEETS REQUIREMENTS FOR LIFE SAFETY ROPE". We think that speaks for itself. The base length is 5'. A shorter lead will subtract from the cost. We make our 1' leads as traffic handles now. They have a snap and one clamp with a nice big loop. Base diameter is 3/8" with additional pricing for 7/16" ($2.00) and 1/2" ($4.00). We now have several hardware choices. All of them are excellent quality and strong. To see our hardware choices, click HERE. To see our rappel rope choices, click HERE.